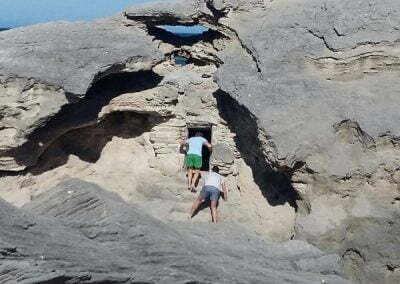 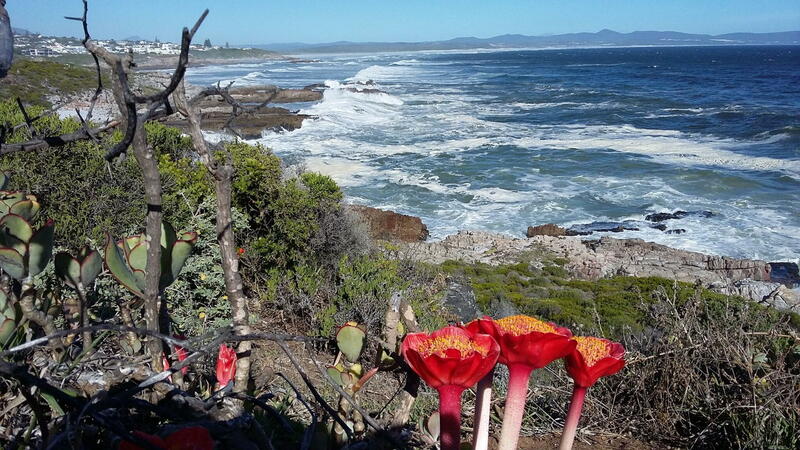 Guided Walker Bay Hermanus Hikes – Walks offer so much more: Ralph and Gill live in Hermanus so they have local knowledge and they are registered FGASA field and marine and Tourist guides with a wealth of knowledge to make the most of your hike or walk. Hermanus Cliff Path Hikes-Walks Walker Bay Hermanus Hikes – Walks offer the Cliff Path walk that has been included in the Fernkloof Reserve in order to protect & display the extraordinary diversity of the natural beauty of the Walker Bay area, its one of the most exciting Hermanus Hikes-Walks. 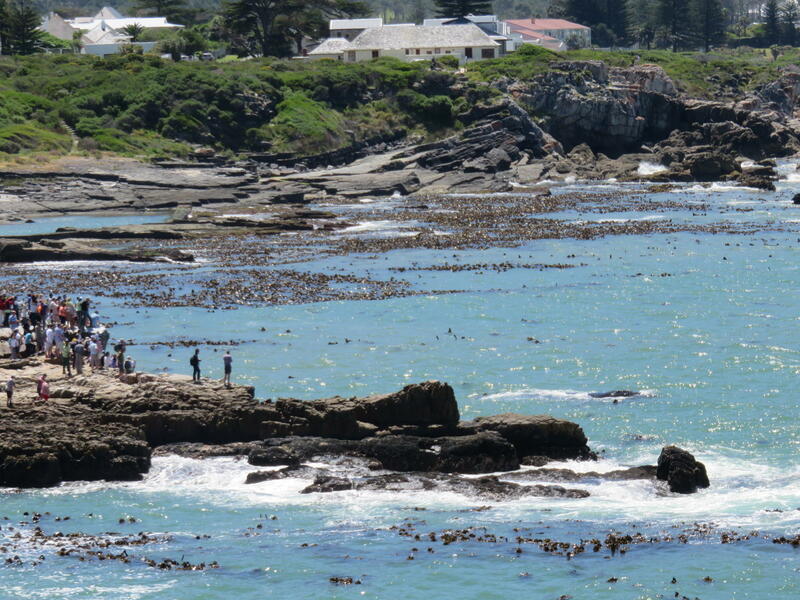 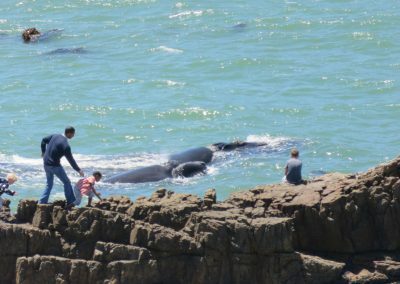 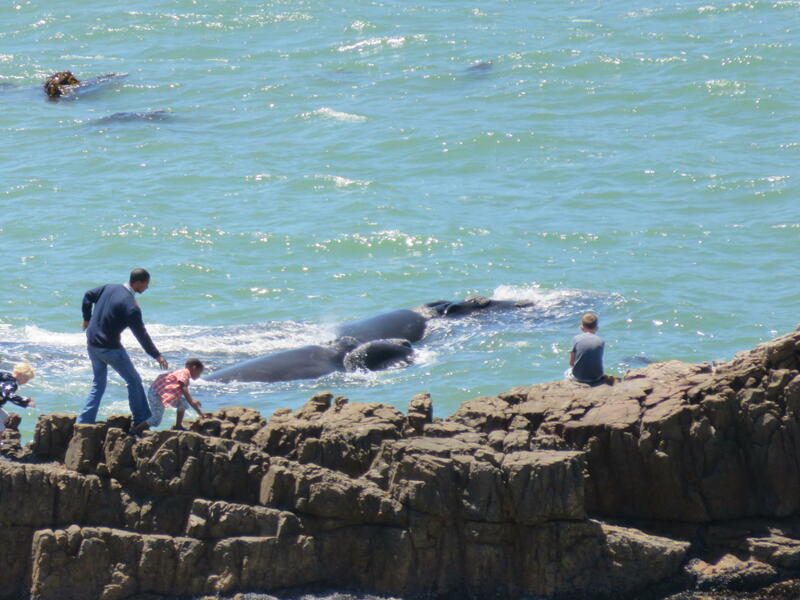 Thousands of whale watchers flock to these cliffs in Hermanus every year to view these magnificent creatures. This region of the Hermanus coast is considered to be the best shore-based whale watching in the world and is a protected Marine Reserve. 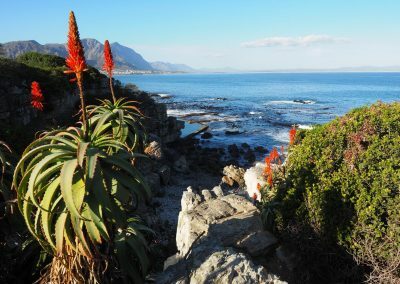 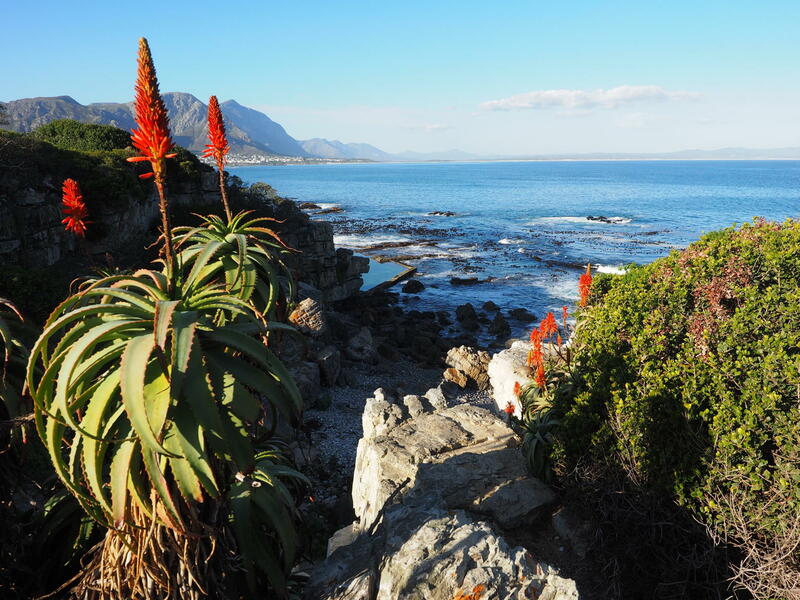 The town of Hermanus is a nature lover’s paradise, the hikes-walks offer breathtaking scenery, craggy coves, white beaches, a vast variety of fynbos flowers and secluded patches of coastal forest glades. 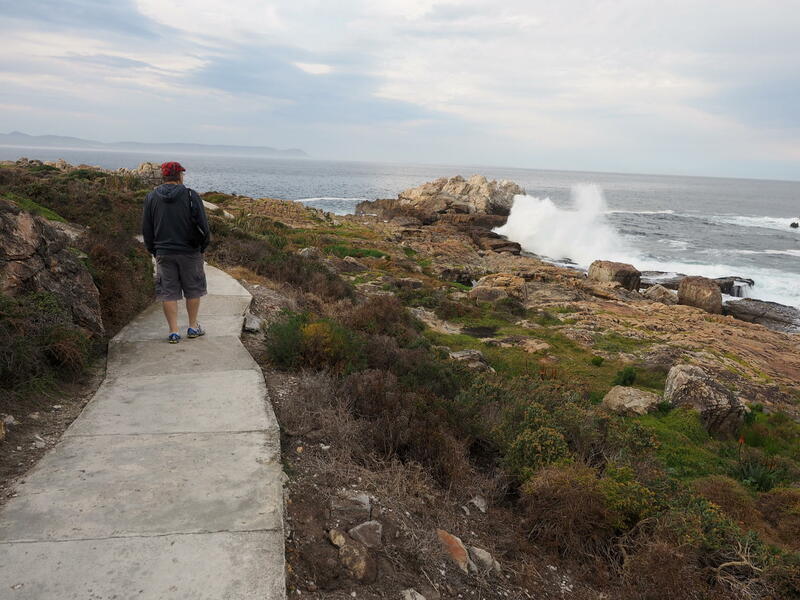 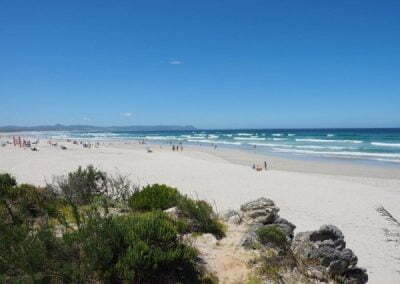 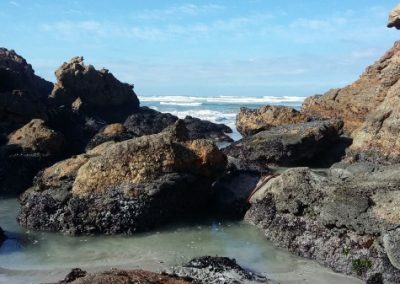 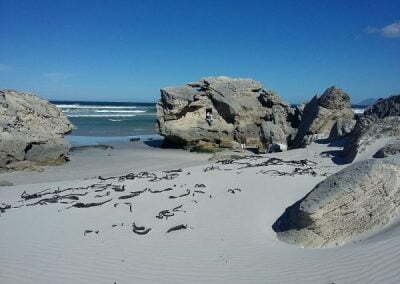 Meandering on Walker Bay Hermanus Hikes – Walks for more than 10 km, the well constructed, largely wheelchair friendly path takes us from the New Hermanus Harbour in the west to the mouth of the Klein River in the east. 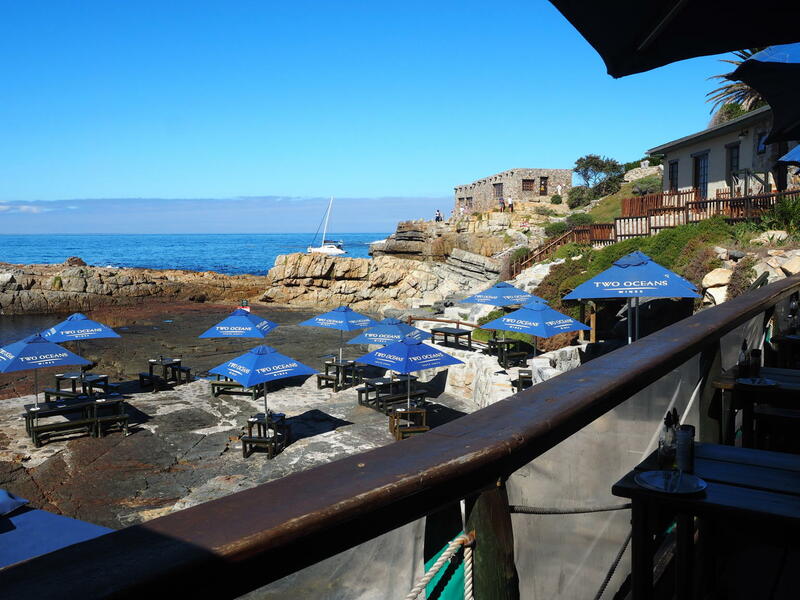 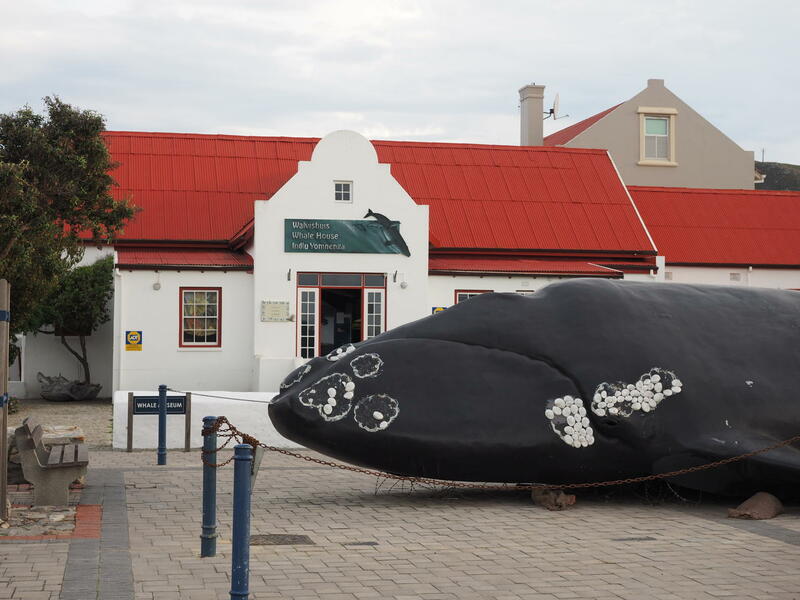 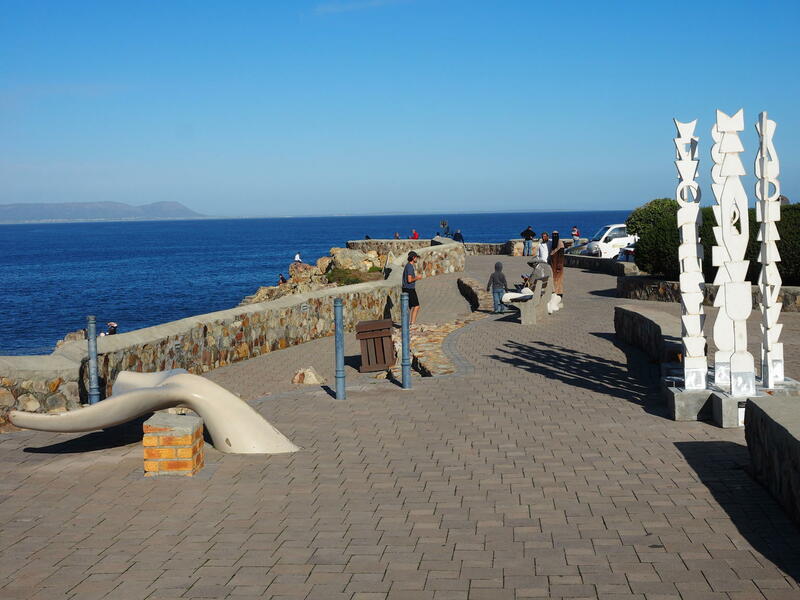 In Hermanus, interesting landmarks along the route include numerous famous fishing spots, tidal pools, historical hotels, the original whaling harbour & museum and the War Memorial. 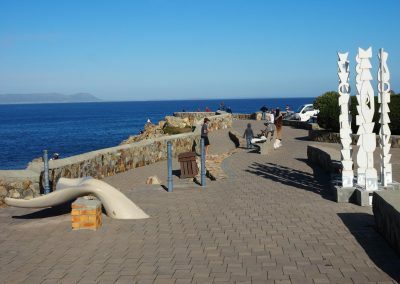 Gearings Point hosts a permanent Fine Arts display of sculptures of local Hermanus artists. 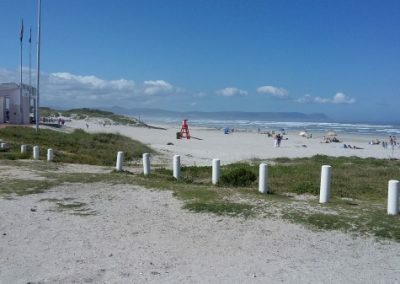 Walking distances of anything from 2-10 km can be arranged. 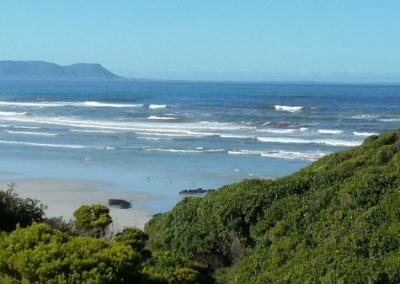 Time: 2 hour walk from R 250.00 per participant, minimum 2 people, half-day (or part there of) – Includes coffee/tea, from R 350.00 per participant, minimum 2 people Time: exceeding 5 hrs – Includes a packed lunch, coffee/tea or fruit juice. 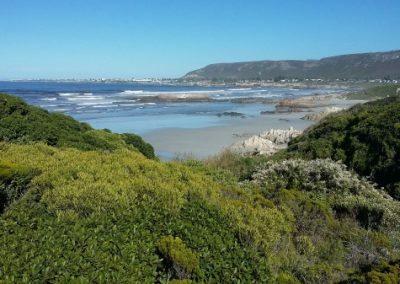 Time: 2 hour walk from R 250.00 per participant, minimum 2 people, half-day (or part there of) – Includes coffee/tea, from R 350.00 per participant, minimum 2 people Time: exceeding 5 hrs – Includes a packed lunch, coffee/tea or fruit juice. 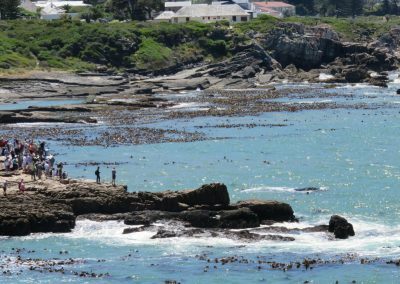 We have put together 3 “Surf and Turf” Hermanus breakaway holiday packages for you to choose from which includes what we have found to be our most popular hikes. 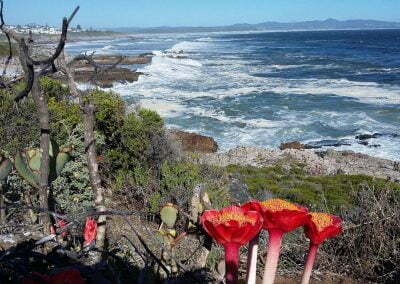 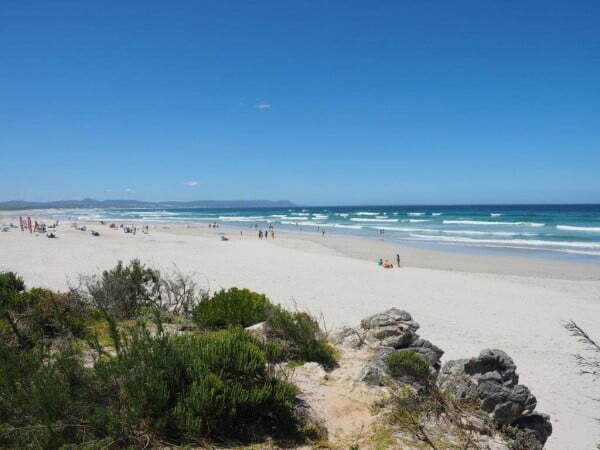 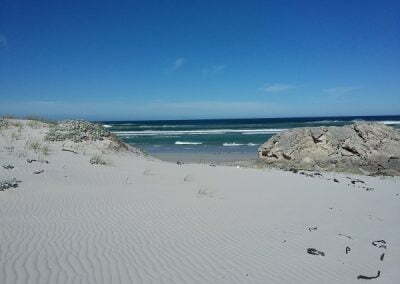 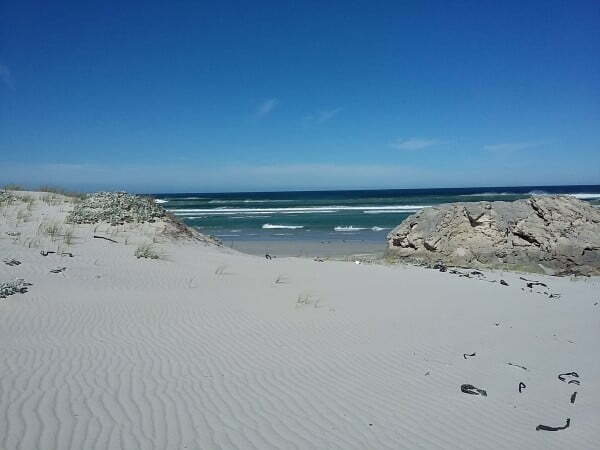 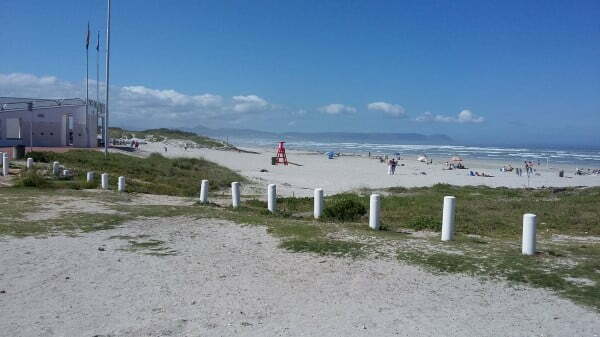 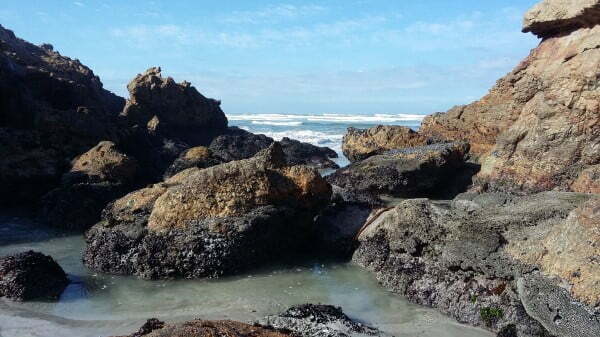 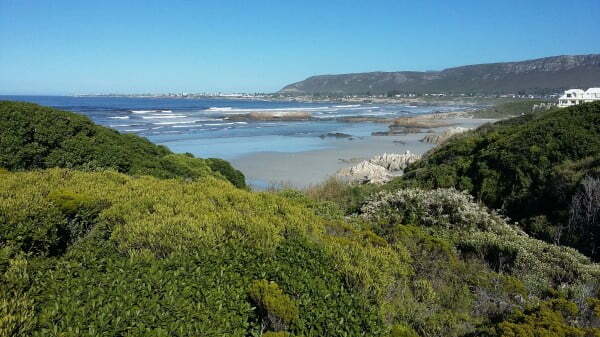 Combinations of pristine beach, cliffs and marine walks as well as scenic mountain fynbos walks. 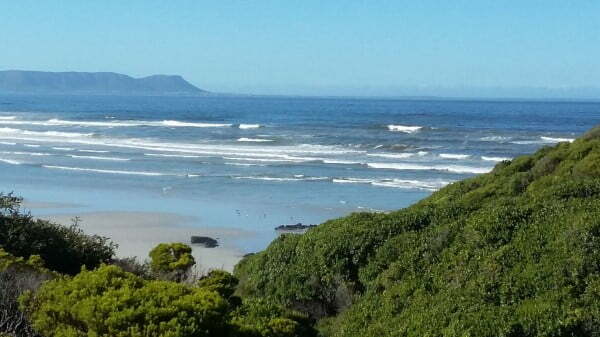 Select any of the 3 listed options or contact us to arrange an alternative of your choice.